Riding at a clinic? Here's how to make the most of it. Riding at a clinic? Here’s how to make the most of it. 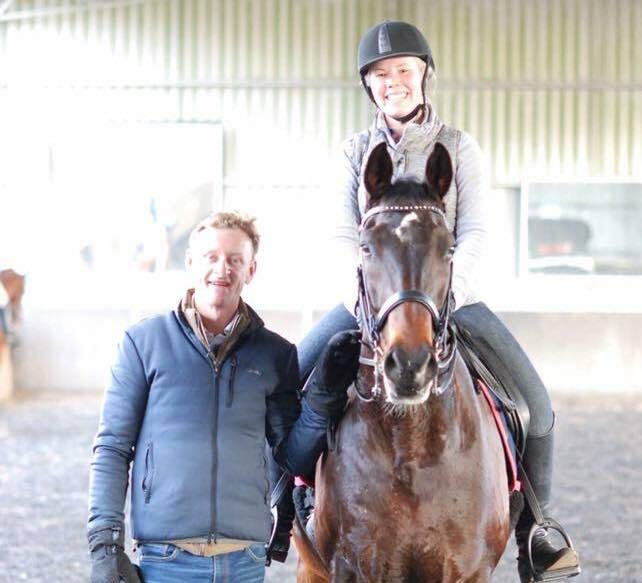 With a few decades under his belt both as a clinician and a rider at clinics, Willinga Park’s Brett Parbery has some advice for how to make the most out of a visiting clinician. As a rider, even at the highest levels, it’s vital to get help with your training. If you’re lucky enough to have access to a regular coach, that’s ideal, but it’s a luxury more isolated riders don’t get to enjoy. Riders often ask me if attending lessons with visiting clinicians is valuable. My answer is; it can be, but you need to approach the clinic in an intelligent way to get the most value for your time and money. Everyone works and learns differently, and take me for example, I’m not the easiest to help, some of my team will tell you that! I’m not really big on lessons, as such. I like to have a conversation and bounce things off people, and sometimes what they tell me, even if we work on it or not, gets me thinking and gets me fine-tuning my own training program. 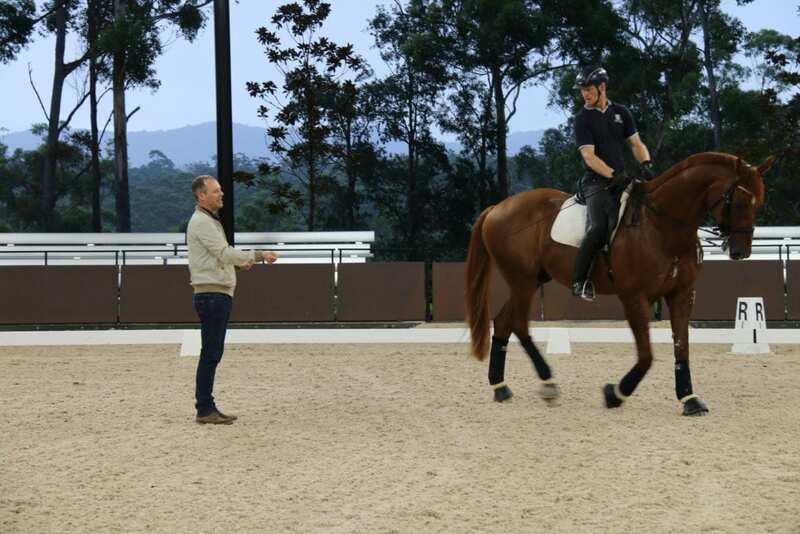 It’s very much like that with Spencer Wilton (from the UK dressage team), who recently held at clinic at Willinga Park. He uses really helpful descriptions, has a great vocabulary and is very sensitive to who he’s working with and how they take on information. My advice for working with visiting clinicians is to go with a goal in mind. The best thing you can do is to think about your weaknesses, which could possibly be their strength, and be prepared to ask questions. What I wouldn’t recommend would be to simply arrive, start riding, and expect the clinician to somehow read your mind or read the picture, and suddenly just figure out what your weakness is and what you need to work on. Instead, assess what you believe is your weakness, have that discussion with the clinician and let them work intensively on one or two points or ideas that you can come away with. Maybe you can even start to turn your weakness into a strength. Anyone can start barking out orders to a student, and that’s some riders’ experience of the traditional lesson. I think in these situations maybe the student might retain 20% of what the instructor says, but if you as the rider can just give a little bit more thought as to what you want to take home from the lesson, and communicate that to your instructor, I think you’ll get more value for money. I encourage you to try to think about what you’re doing in terms of creating your own system, and have those discussions with your regular coach. You could start by reading the German Training Scale, but whatever you do, find a system as a starting point and that will help you identify where you need to improve. No-one is strong in all parts of the system, not even the best riders in the world. Everyone has weaknesses, and don’t be scared to come to your clinician and be honest with them about your weaknesses. To stay loyal, or shop around? There’s only value in going to multiple clinicians if you are going to them and saying; I need to work on my trot work, my shoulder-in, my frame, my training frame, my competition frame, my half passes, my position, or whatever it might be, or a couple of those things together. You might be working on the way you position your body and the horse’s for lateral work, for example. If, on the other hand, you’re going to clinic after clinic in a passive way just to pick up what you can, don’t be surprised when all you get is random pieces of information that don’t really connect into your system. It also comes down to personal preference. Some people love the ongoing support and relationship that lessons with one coach provides, and if you fall into this category, then a clinician who can visit every couple of months is ideal. We asked the question, about how best to benefit from visiting clinicians, to people in our Facebook community and Alana from our community says she doesn’t learn much from instructors who visit once, and that she wouldn’t waste her money or time on an instructor who flies in and out once no matter who they are. For others, like Anwen in our community, it comes down to how engaged and focussed the trainer is on each rider, and the rapport you can build. She says sometimes a fresh set of eyes will give you ‘take-homes’ which stick for months, and that lessons with clinicians can be free of the emotional baggage we often bring to training, and may give a different perspective. If you’re going to invest your time and money to attend a clinic, it’s best that you fully commit. What does that mean? Attend as many days as you can, and stick around before and after your lesson (if this is acceptable at the specific clinic) to watch and learn from others. Often more learning happens OFF the horse! As Dannielle from our community says, it’s key to attend with an open mindset and to understand that feedback is not a criticism, but rather an opportunity to learn and improve. Be open to trying new things. Sometimes a new approach or explanation is all you need to break through a roadblock in your training! To avoid disappointment, be sure to do your research in advance. Consider being a spectator at a clinic before you are a participant, look up online videos of the clinician’s training, and ask other riders about their experiences. If a clinician has an approach that doesn’t please you, simply stay away and don’t get caught up in the hype. However, on the odd occasion, even perhaps you’ve done your research and you’ve spent a great deal of money on a visiting clinician, you may find yourself opposed to what the clinician is asking of you. You know yourself, your system and your horse best and as Fiona in our community says, stay true to your horse. Fiona has actually walked away from lessons with big name instructors in tears as they’ve had her doing things she was uncomfortable with. There’s no shame in politely excusing yourself and writing it off as a learning experience. You may run into a situation, as Mel in our community says, in which you may have a path planned for a particular process, or the clinician’s advice differs from your regular coach in a way you feel isn’t workable. You simply need to explain that (politely) to them and leave that particular thing alone and work on something else. Working with a visiting clinician can be a rewarding experience, and you can make the most out of it by thinking ahead, articulating specific training challenges to the clinician, and having a sound understanding of your own training system to which you can add value with fresh ideas. Brett will be working with our young imported stallion Willinga Park Fangio at the Spencer Wilton and the Stars of the Future event on December 1 in Sydney. Yes! Willinga Park will be hosting clinics in the near future with Brett and visiting instructors. Follow our Facebook page to keep up to date.